damaged testicular tissue, where only spermatids are found. This is similar to the consultation detailed in IUI. Karyotyping is carried out prior to offering any treatment because a high percentage of male patients have irreparable chromosomal abnormalities. 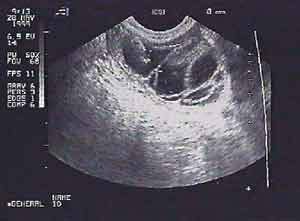 As far as the female patient is concerned, the procedure is exactly similar as that of IVF. 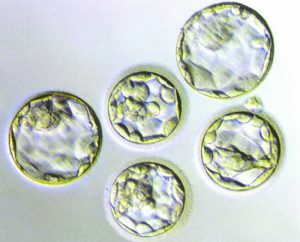 Acquisition of spermatid is done surgically by taking a piece of testicular tissue that is processed in the laboratory to release entrapped immature sperms. 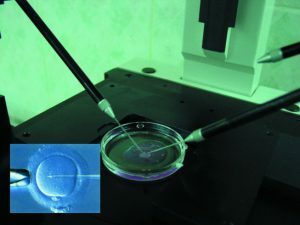 These spermatids are either chemically or mechanically activated and an individual spermatid is then picked with a very fine needle through a very elaborate equipment and injected into the egg which is collected in the similar manner as IVF. 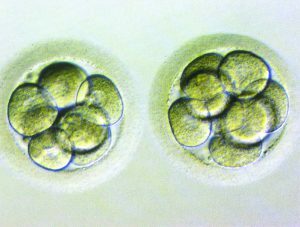 The rest of the procedure is similar as IVF.